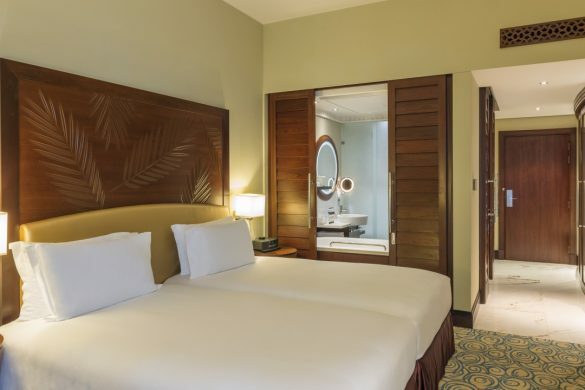 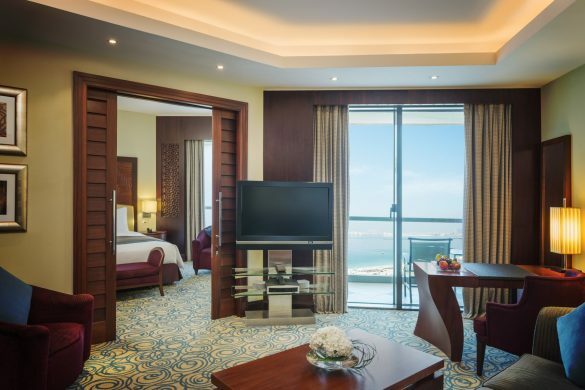 Within the 31 storey building the hotel has 438 sea-view rooms and suites including 27 Junior suites and Family suites, 12 Prestige suites and 1 Imperial suite. 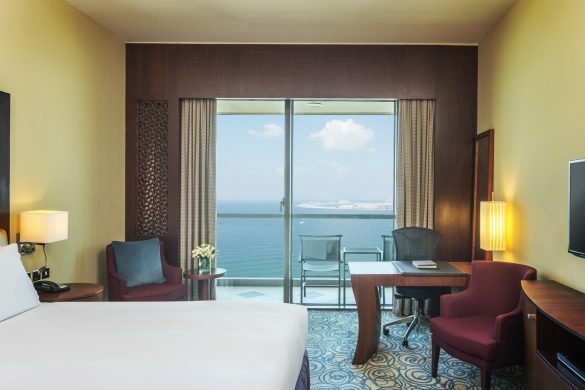 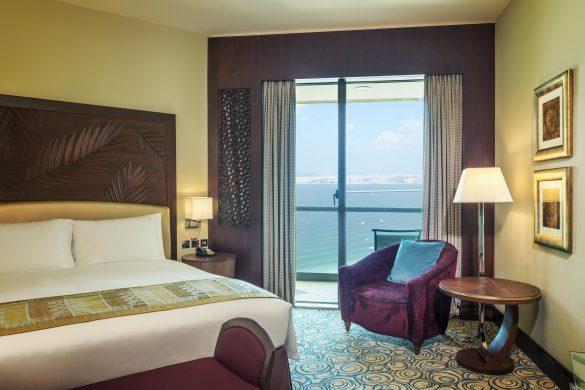 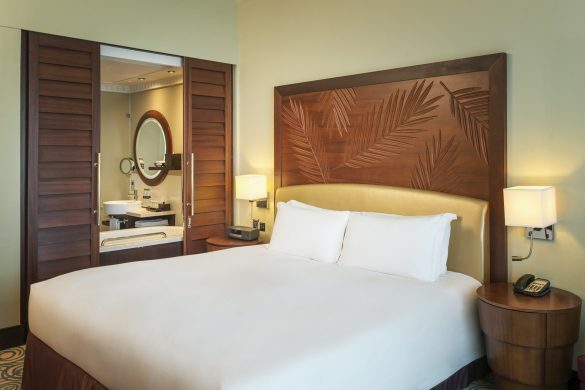 Each elegantly appointed accommodations has a private balcony with views across the Arabian Gulf. 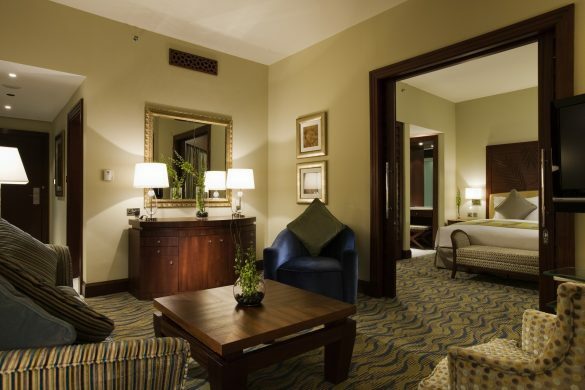 Features French “Art de Recevoir” and Arabian Décor with warm colours, teak furnishings and Middle Eastern motifs recalling the mystery of the Orient.